Your first look at the newest movie adaptation of a Nicholas Sparks novel is here, as the official trailer for The Longest Ride, filmed in and around Wilmington, Winston-Salem, and Jacksonville, North Carolina, arrived online yesterday, along with a poster for the romantic drama. 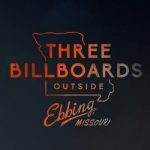 Starring Britt Robertson (Under the Dome), Scott Eastwood (Texas Chainsaw 3D), Alan Alda (MASH), and Oona Chaplin (Game of Thrones), you can watch the new trailer in the player below, and then scroll down to view the official poster, and be sure to give us your thoughts in the comments! 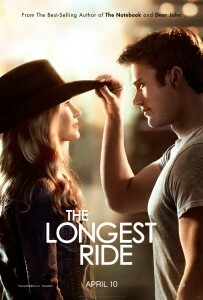 The Longest Ride involves the lives of a young couple (Eastwood and Robertson) that intertwine with a much older man (Alda) as he reflects on a lost love following an automobile crash, directed by George Tillman Jr. (Faster, Soul Food). The Longest Ride is set to open in theaters on April 10, 2015.